Hi Dolls! 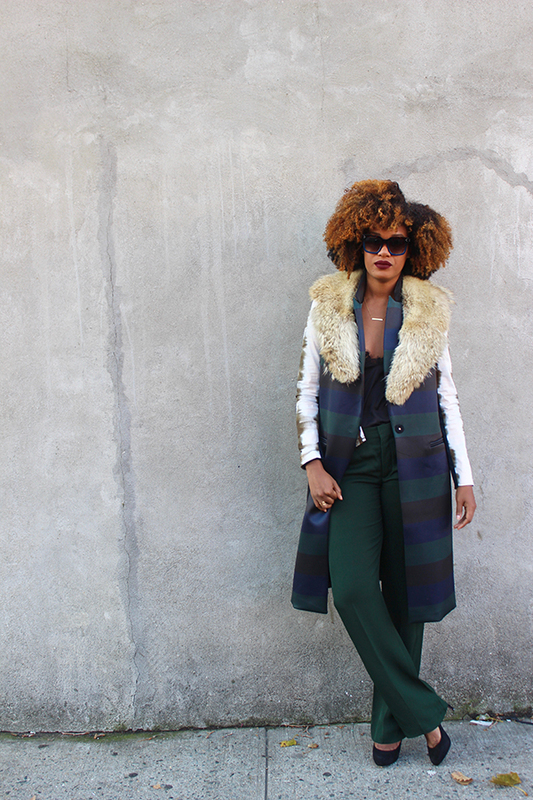 I am Danielle Jackson the editor-in-style of my fashion and lifestyle blog Dani-DK.com – Where Style Has Purpose! Dani-DK is a place for women who are looking to turn the conventional upside down and explore their most creative side through style, beauty and life experience. A great space to ask questions and feel inspired! 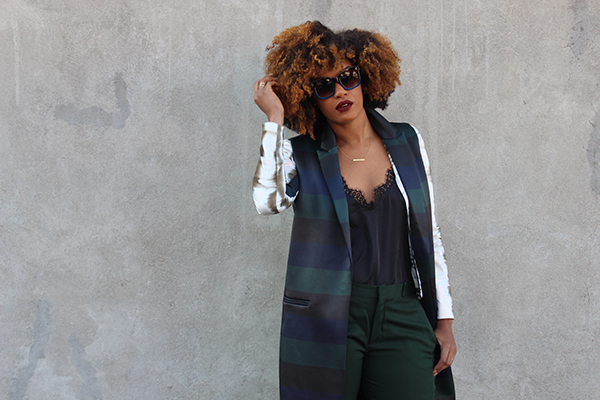 This fall I’ve gravitated towards rich hues and sleek lines. From gold’s to forest green, nature has truly inspired the collections that I shop. 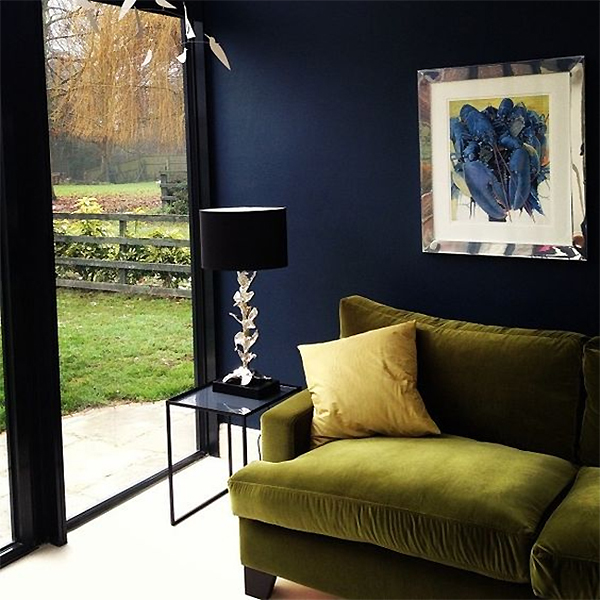 I’ve always loved dark walls but have never lived in a home where I’ve been bold enough to paint an accent wall so this olive and navy blue room really spoke to me. 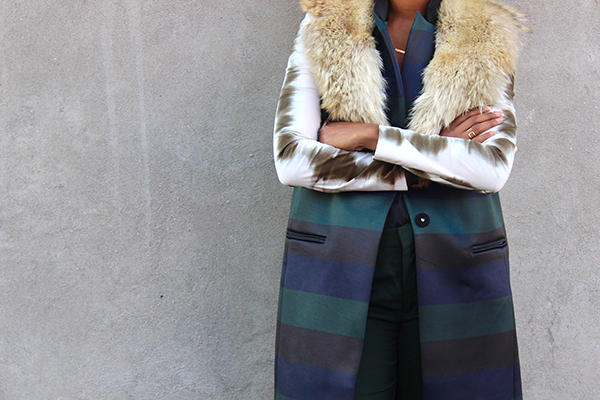 Rich colors can liven any look. Rich shades effortlessly take you look from basic to bold and add a luxe, well-made feel to your outfit regardless of the true price point. For this look, I pulled together pieces that I’ve purchased over the years. My pants relate back to the clean lines that I’ve been obsessed with this season and I paired it with a sleek lace camisole layered with a blazer and long vest for a bold and interesting look. As we all know colors speak volumes! There’s nothing like a bright or bold color to lift your mood. The green found in this look is considered a “bridge color” where it creates a great balance between all other colors. So just like the olive green sofa featured achieves grounding this interior, the rich green in my own look effortlessly pulls together my printed blazer and fur stole. Earthy green shades are grounding and powerful, making it a fab color palette to explore with your wardrobe this season. 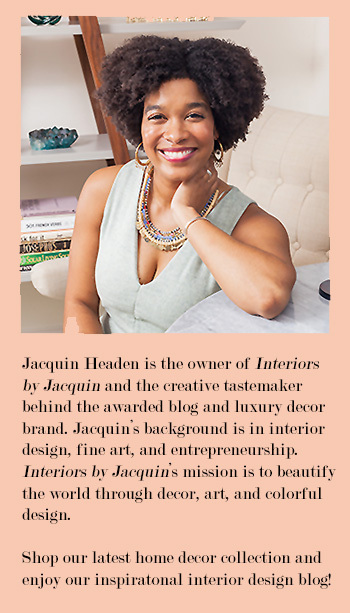 Follow the adventures of NYC Image Consultant and style blogger Danielle Jackson on Instagram and Facebook. 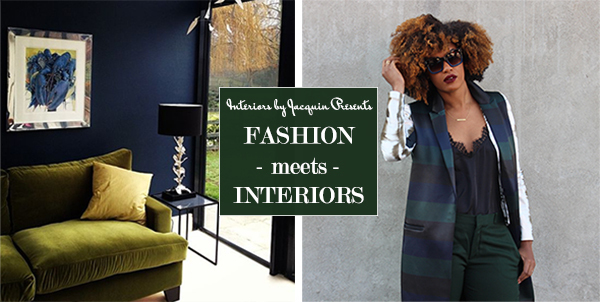 Check out more of the Fashion meets Interiors series here!